photo: Borealis CEO Alfred Stern & Dr Sultan Al Jaber, Minister of State and ADNOC group chief executive signing agreements to strengthen the partnership between ADNOC and Borealis. 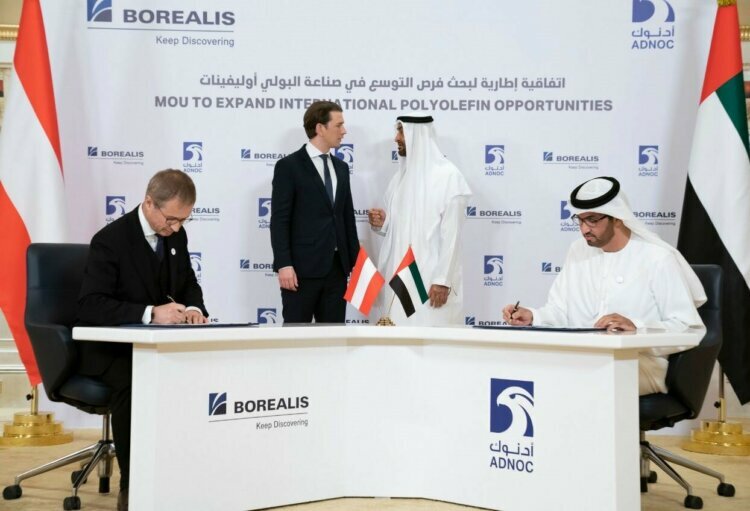 Borealis, a leading provider of innovative solutions in the fields of polyolefins, base chemicals and fertilizers and the Abu Dhabi National Oil Company (ADNOC) today signed a Memorandum of Understanding (MoU) agreement to explore potential growth opportunities within the polyolefin industry in key geographical markets that both parties view as key demand centers in the future. The agreement was signed by Borealis CEO Alfred Stern and His Excellency Dr. Sultan Ahmed Al Jaber, UAE Minister of State and ADNOC Group CEO. Under the terms of the agreement, Borealis and ADNOC will jointly explore potential growth opportunities within the integrated polyolefin industry in key geographical markets. They will partner to build on their strength which has successfully contributed to the growth of Borouge over the last 20 years to support the growth of customers in key markets through value creation through innovation. Since 1998, Borealis and ADNOC have collaborated as joint venture partners in Borouge. 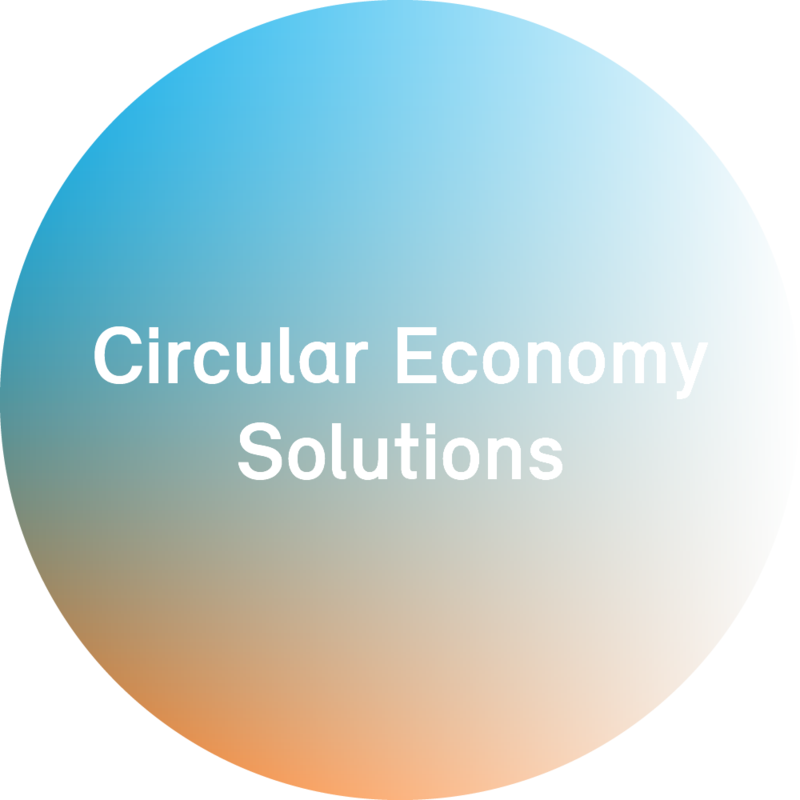 Borouge is a leading petrochemicals company that provides innovative plastics solutions for several industries. With 4.5 million tonnes of annual capacity, Borouge is the world’s largest integrated polyolefin complex. As part of its 2030 smart growth strategy, ADNOC has recently embarked on a significant expansion of its downstream business. At the center of its new downstream strategy is a $45 billion investment plan aimed at creating the world’s largest integrated refining and petrochemicals complex in Ruwais, which will see the company triple production of petrochemicals to 14.4. million tons per annum by 2025. Ruwais’ appeal as a unique feedstock engine, capable of producing the full range of essential building blocks along the petrochemical value chain will see the Ruwais Derivatives and Conversion Parks become a global destination of choice for investors and manufacturers wishing to establish a presence in the UAE.